Balance. During swimming, a dog uses most of its muscles (back and limbs), while land physical activities allow it to develop no more than a half. Proper joints formation. Swimming is especially recommended for puppies and giant breeds youngsters. During water exercises, muscles are actively working, but the pressure on joints remains minimal. Cardiovascular and respiratory systems training. 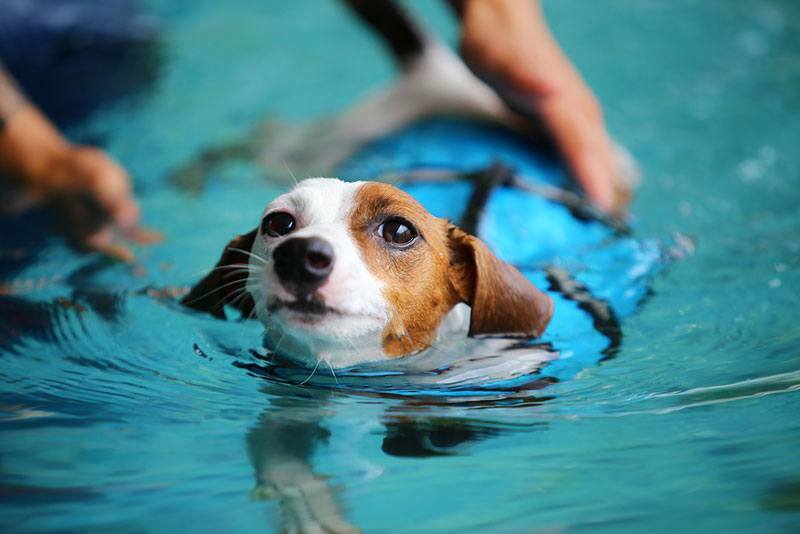 Among veterinarians, swimming is considered one of the most effective options for replacing costly cardio exercises. In addition, during movements in the water, a massage effect occurs, due to which blood circulation is improved and vascular walls become stronger. Regular swimming improves the elasticity of the lungs, thereby improving the rhythm of breathing. The development of endurance and self-confidence. This is another huge benefit of this activity type. The variety of pastime activities during a walk also develops the intelligence and stress resistance of a pet. It is an excellent means for rehabilitation after an injury or for overweight pets. It is considered the best way to keep fit for dogs that are actively involved in winter sports (e.g. sled breeds). The source of good mood. According to zoopsychologists, the level of endorphins (happiness hormones) in a dog increases during bathing in water reservoirs, thereby improving the emotional background and increasing the overall tone. However, this particular point does not need any scientific explanations - just look at how happy your doggo’s muzzle is when it gets out of the water. How Do You Think Do Huskies Like to Swim? Teaching a dog to enjoy bathing is not as easy as some people think. First of all, dispel all sorts of tips on throwing a dog into the water at depth from your mind. Forget about the nonsense that it will instinctively start working its paws and stay above the water. To swim out, of course, it will do everything, but you can be sure that for the next 15 years such a victim of pedagogical creativity won’t get anywhere near any pond. In addition, the confidence in you, as a friend and leader, will be significantly shaken. Throwing a dog into the water or other coercion, causing aquaphobia. Conducting initial exercises in deep or fast-flowing water sometimes leads to tragic consequences. Training to swim in the cold season causing related diseases. Naturally, a prerequisite for the start of training is the fact that the dog feels great in the water. But in general, the training system is based on the same principles as the “swimming school” itself. Don’t rush. Try different techniques gradually. Start with jumping from a slight elevation above the water and increase the height little by little. You must not begin training until a pup is three months old. Also, make sure the water temperature is not cold to avoid hypothermia. Introduce your pet to the water gradually, without haste. For a start, it's nice to just take a walk in shallow water, let it get used to it. Spark the interest of a dog with some toy that you throw into the water - first near the shore and then gradually increasing the distance. If your dog gets nervous, you can take it in your arms and come as close as possible to the water. The presence of the owner will calm it down. A vivid example of another, more experienced dog works well too - most of even timid pets enter the water after a playmate. Show your dog an example - get into the water yourself. If your contact with a dog is properly aligned, the pet will soon join you in the water. There are many ways to make water training more efficient. However, it is not necessary to dwell on the usual mechanics while swimming, forcing your dog to perform different movements like on some kind of a simulator. It is much more interesting to race with it or to teach it to tow you towards shore. Among dogs, there are a lot of born champion swimmers, that consider water reservoirs their home. These include breeds with round-shaped paws, equipped with membranes (like Newfoundland and Labrador), as well as pets with a thick fat layer (saves from hypothermia) and a thick undercoat (detains air bubbles). But the French Bulldog is better not allowed anywhere near deep water. They say it is the only breed that can’t swim. Or rather, not able to stay above - that heavy bulldog’s head pulls the animal down to the bottom, and the water immediately gets into its nose and mouth. Spring is here, the temperature outside is rather high and the days are longer. For kids and pets - the time has come to play and chill in a backyard, and if you have a pool there, it’s an ultimate happy hunting ground. And although your kids may already be experienced swimmers, the situation is different for dogs. 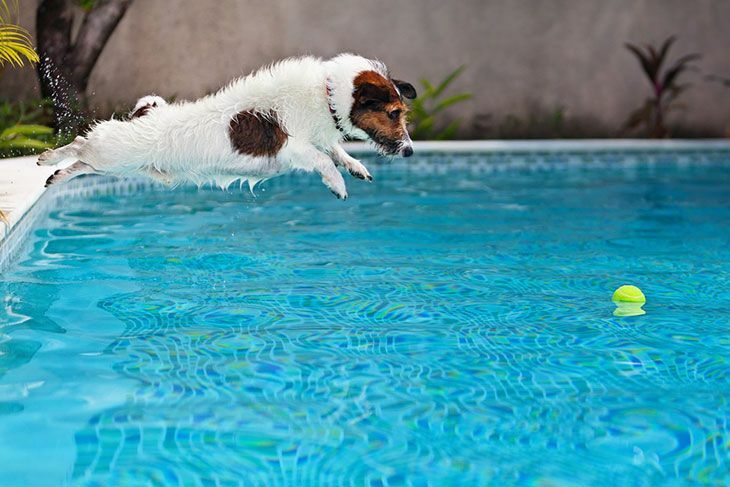 Be sure to prevent accidents by the pool that may put your pet to risk. While the pool is open to the public during summer days, it is dangerous to animals. You may ask why - all dogs can swim. According to TheHomeDweller, thousands of dogs each year drown in average shallow pools. And not every dog can actually swim. The skill depends on the breed, besides, some dogs need to be introduced to the water. What seems an instinctive, natural action to us, is not inherent in every animal. Restricting access to the pool is a simple and effective way to prevent unfortunate events for your beloved pets. Water toys for dogs specially designed for games and entertainment in the water with our four-legged buddies. They are made of non-sinking material, withstand bites without punctures, and are quite well visible on the water. This means you can easily throw them into the water without hesitating and your dog will have lots of fun playing with them. If you have a particularly active dog, then Frisbee is another thing that is perfect for water. They don't sink or get pierced with a dog's teeth and they don't get lost like balls. If you decide to allow your dog to swim, choose the ammunition wisely. Watch out for the leash and collar, as they can be damaged, especially in salty water: the metal parts will oxidize and rust. It is also important to rinse nylon ammunition in fresh water in case it was in salt water before. 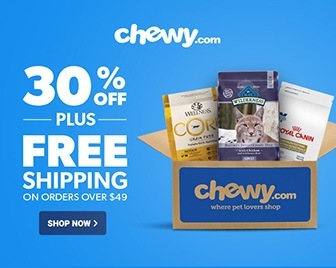 If you do not want to use nylon, then consider collars, leashes and harness made of special rubber, thanks to which they are perfectly washed, do not get wet, withstand high temperatures, and simply beautiful and bright. Be careful with the metal parts though. Contrary to popular belief, not all dogs are great swimmers. This common misconception can cost your pet a life. Brachycephalic dogs like English, American and French bulldogs, are bad swimmers by nature. Swimming is not really recommended for dogs that have short paws or a large enough and disproportionate compared to the back sternum. Among such breeds are corgi, basset, dachshund, pugs, Scottish and Boston terriers. 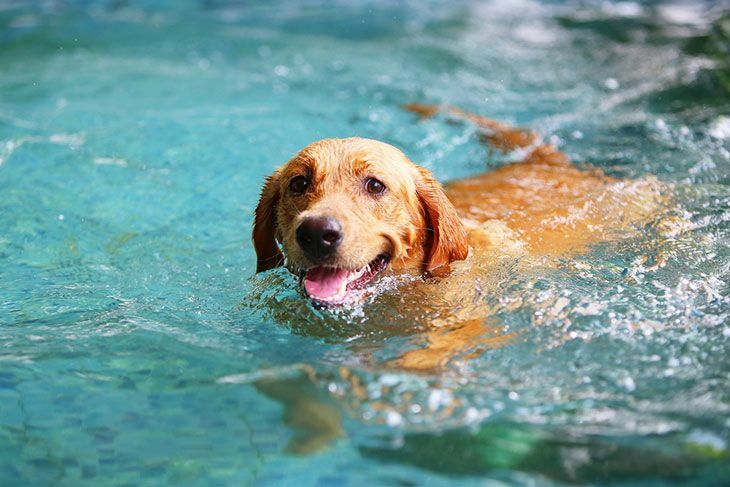 That is why it is very important to teach such dogs to swim, to enter the pool correctly and behave in the water - all this is necessary to prevent an emergency. Another concern for the owners - is it possible for dogs to drink water from the pool? It is not entirely safe. The chemical balance of the pool water can be very different from drinking water. Normal chlorine can be very irritating to the gastrointestinal tract of a dog and may provoke serious health problems. 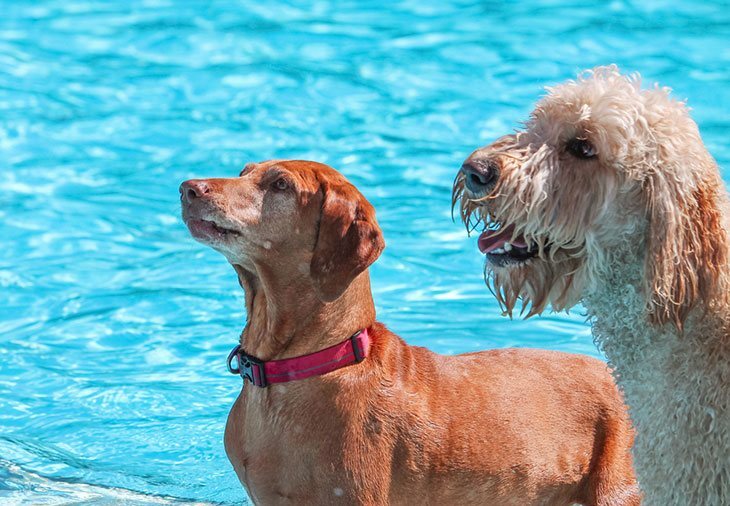 Despite the fact that your pet may be willing to splash around in the cool waters of your pool on a hot day, restrictions may be imposed on it - depends on the age of the dog and medical indications. You should consult with a veterinarian before putting the animal into the water. The most common cause of drowning for dogs is an early-onset dementing disease, as well as blindness. Having fallen from the pool with such diagnoses, a dog will hardly be able to get out. Just like kids, dogs need constant monitoring around the pool.